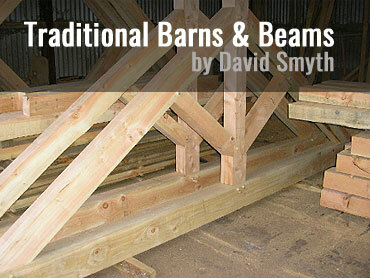 David Smyth specializes in traditional post and beam building. 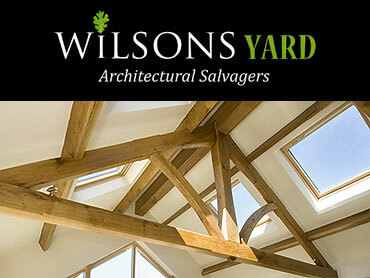 His company also supply feature roof trusses, bespoke timber and seasoned oak beams. David set up one of Ireland’s first mobile sawmilling services and has processed logs for the National Trust, Coillte Teo (the Irish Forestry Board), furniture makers and private estates. Wilsons carry a large selection of original 18th & 19th century reclaimed timbers, which can be manufactured into roof trusses, giving a natural ageless feel to a building. We also supply new seasoned timbers such as Green Oak, Douglas Fur and Ash. We have a unique range of interior and exterior antique and period doors, kitchens and wooden beams.